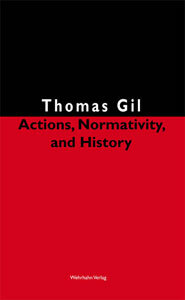 In the essays collected in this volume Thomas Gil tries to clarify certain concepts and ideas which are basic in practical philosophy. What are ‘actions’ as opposed to events? What does count as an ‘explanation’ of human behaviour? When do we say that our beliefs, opinions, actions, decisions and plans are ‘rational’? What are ‘norms’? What are ‘conventions’? In what precise sense is technological knowledge practical knowledge? What is ‘philosophy of history’ all about?